I didn''t know god made honky tonk communists. A memoir about draft card burning, witchcraft & the sexual meaning of ballgames. With each new novel, Eric Jerome Dickey has established himself as one of the freshest and most exciting writers on America's contemporary fiction scene. His latest book is no exception. 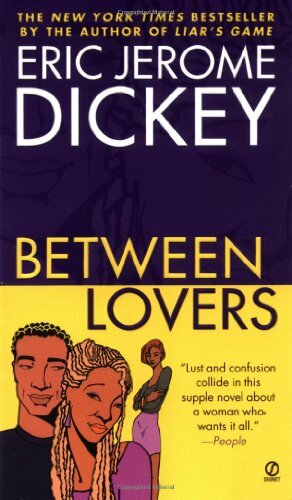 Set in the San Francisco Bay area, Between Lovers brings together three irresistible characters. The novel's narrator-a Los Angeles-based writer-is still reeling from being dumped by Nicole after seven good years followed by an aborted trip to the altar. Nicole grew up during their time together, and changed-she became a successful career woman, moved north to Oakland, and fell in love with another woman. But she's still not satisfied. She likes what she has, but misses what she had, and wants to find out if she can have it all. She's playing with fire, not to mention the feelings of the two people who love her most in the world, but Nicole lures her former fianc� back into her new life, opening the floodgates of anger, passion, pain...and refreshing honesty. 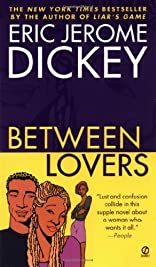 How these three fascinating people handle this unusual and complex love triangle makes for one of Dickey's most provocative and unforgettable novels. About Eric Jerome Dickey (Author) : Eric Jerome Dickey is a published author of children's books. Some of the published credits of Eric Jerome Dickey include Genevieve, Genevieve.